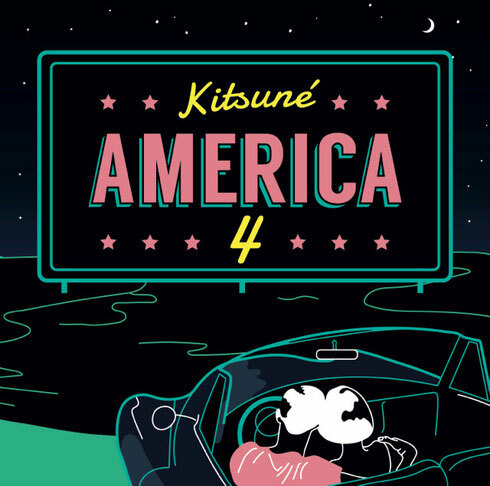 The Kitsuné America compilation series takes a fresh look at familiar Americana. With a declaration that there are no fillers on this fourth edition, it’s all about the tunes. From Kacy Hill’s futuristic R&B, a Kanye West’s protégé, to Heat’s corrosive indie glam, every track is apparently to be tried on this latest instalment. Open to radical forms of urban pop and other soulful hybrids, the Parisian label keeps on treading new paths. Look out for blazing guitars, a recurrence chez Kitsuné as you get zapped to the sound of the emblematic tunes of the moving and shaking North American scene. Featuring Kacy Hill, Basecamp, Dutch Party, Beau, Heat, Grace Mitchell, Joyce Wrice, Metoux, Milk & Bone, Mothxr, Ricoshëi, StéLouse, Toro Y Moi, Twin Peaks, The Twelves and Lonely Boy, it’s out 25 May digitally and 1 June on CD. Check out the mini mix below.